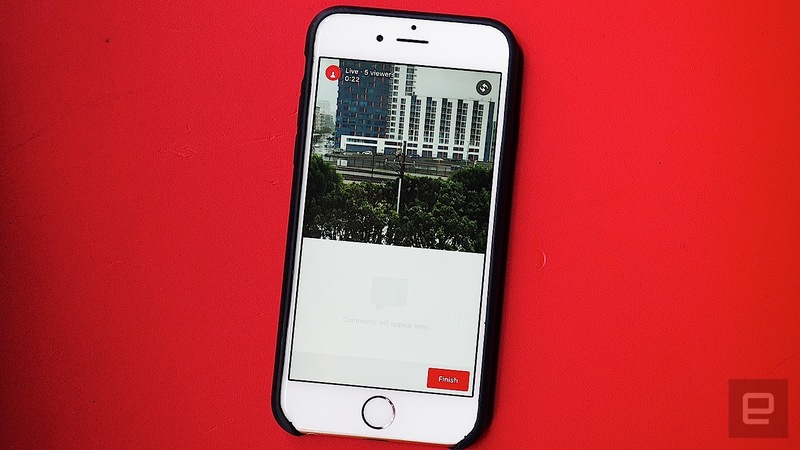 You won't need a separate app to broadcast live video. Livestreaming has been around for several years now, but it wasn't until the arrival of mobile apps like Meerkat and Periscope that it caught on. Now Facebook has jumped in on the trend too. Yesterday, the Zuckerberg-owned empire expanded its Live Video feature beyond just celebs and verified pages so that everyone on the social network can get in on the bandwagon. It's only available on iOS for now, though an Android version should soon be on its way. After a few minutes playing with the new feature, I think Facebook's version has one significant advantage over the rest: that it's built into Facebook itself. Indeed, unlike Meerkat and Periscope, you don't have to download an additional app to give Facebook's livestreaming a go; you should already have it as long as you have the Facebook app (That said, Periscope did recently integrate with Twitter so you can at least watch livestreams on the latter's app). To access it, tap the "Status" button at the top of the homepage and select the live video icon on the bottom right. Tap through the instructions -- you'll be asked to give your video a title and then to select your desired audience -- and you'll be able to broadcast live. Much like Periscope, you'll be able to see the number of live viewers you have as well as read incoming comments. You can also swap from the front camera to the rear camera by tapping an icon on the top right. Once you're done, you can upload it immediately to your timeline and even save the video to your Camera Roll. From there you can share the video like you can any other Facebook post and even embed it in blog posts if you like. This is in contrast to Periscope videos, which disappear after 24 hours. There are a few downsides compared to Periscope, however. For one thing, you don't get the real-time hearts populating the screen and you won't be able to recapture the influx of comments when you rewatch the video later on. Additionally, Facebook's Live Video feature is really meant just for the folks who follow you or your friends and family. Periscope, on the other hand, has a much wider scope, with a full-on welcome page that shows you interesting Periscope streams from strangers from all around the world. 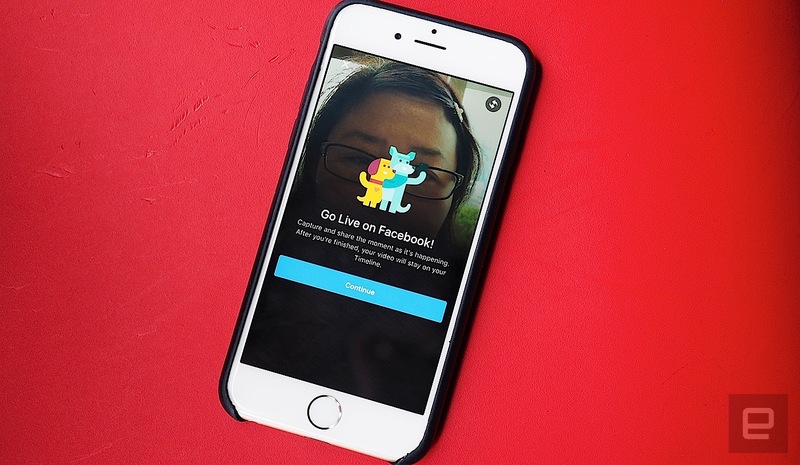 Periscope has discovery, while Facebook's Live Video doesn't. Which makes sense; Periscope follows the Twitter model of being a broadcasting medium, while Facebook's appeal tends toward the intimate. So while Facebook's Live Video feature is the easier to access compared to Periscope, it's also the one with a more limited audience. Unless you're a celebrity or someone with a verified page, you're unlikely to really get full use out of the Live Video feature on a regular basis. That said, I can still see the appeal. Perhaps you want to livestream your ski down the mountains in Tahoe or your baby's first steps and you don't necessarily want the world to see it. In that case, Live Video could be valuable add-on to your timeline so you can share that special moment with family and friends. You could also use Periscope for that of course -- it has a private friends-only mode too -- but not everyone wants or needs to get an extra app just for this extra function. It remains to be seen if Facebook users will actually use this feature, but the fact that it's right there in the app makes it that much easier for people to at least give it a try.